CHICAGO – October 5, 2017 – Bertucci® Performance Field Watches™ salutes first responders with the introduction of the A-2S Thin Blue Line and A-2S Thin Red Line stainless steel watches. These high-performance watches commemorate fallen police officers and fire fighters while showing support for those who actively serve our communities every day. The watches feature a distinctive blue or red line down the middle of a black, military-grade nylon band, which symbolizes the thin line that exists between order and chaos and the role that first responders play in keeping our communities safe. In order to show appreciation for first responders and those who support them, Bertucci is selling its A-2S watches at a reduced $90 MSRP, which is a 10 percent savings over traditional pricing. 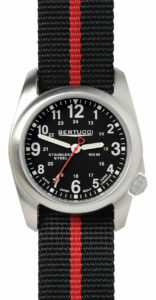 Bertucci® Performance Field Watches™ – A-2S Thin Red Line/ A2S Thin Blue Line. Images courtesy of Bertucci. The new A-2S watches are available in four models: #11076 (Thin Blue Line), 11077 (Thin Blue Line with Pro-Guard™), 11078 (Thin Red Line) and 11079 (Thin Red Line with Pro-Guard™). 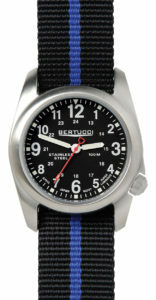 For more information about the new Bertucci A-2S Thin Blue Line and A-2S Thin Red Line field watches, visit BertucciWatches.com or call 866-665-7327. Founded in 2003, Bertucci® Performance Field Watches™ is recognized around the world for its wide selection of high-performance watches available in a variety of styles, including Field, Vintage and Sport. 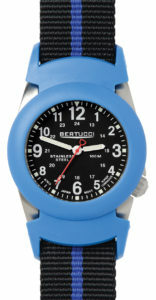 Bertucci watches are manufactured from a variety of materials, including titanium, stainless steel, polycarbonate and carbon fiber. Every Bertucci watch is designed, engineered and manufactured from the ground up with an emphasis on durability, design and performance. Bertucci watches are sold at specialty outdoor retailers, jewelry stores and other fine retailers with price points ranging from $65 to $480. 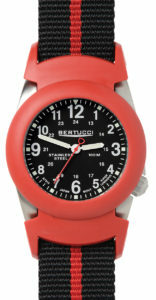 For more information, visit BertucciWatches.com.